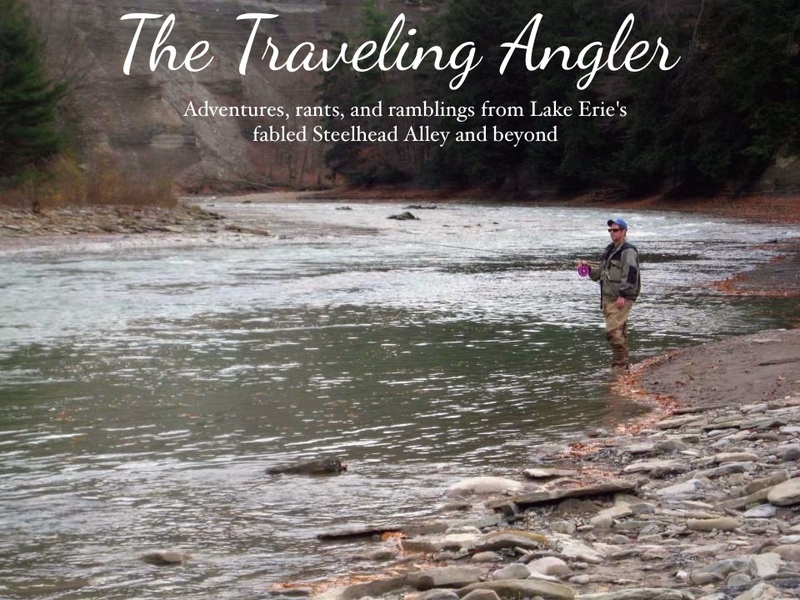 The most dedicated steelheader will do anything to catch fish and one of them is walk endless miles in search of them. Today was a day like that. 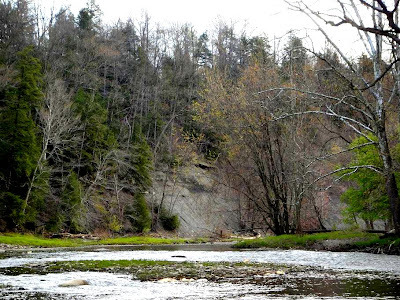 The river was at its lowest for the season and nearly of all of the fish in it were done spawning. No easy pickings like in December or early March. The last rain event was a distant memory. 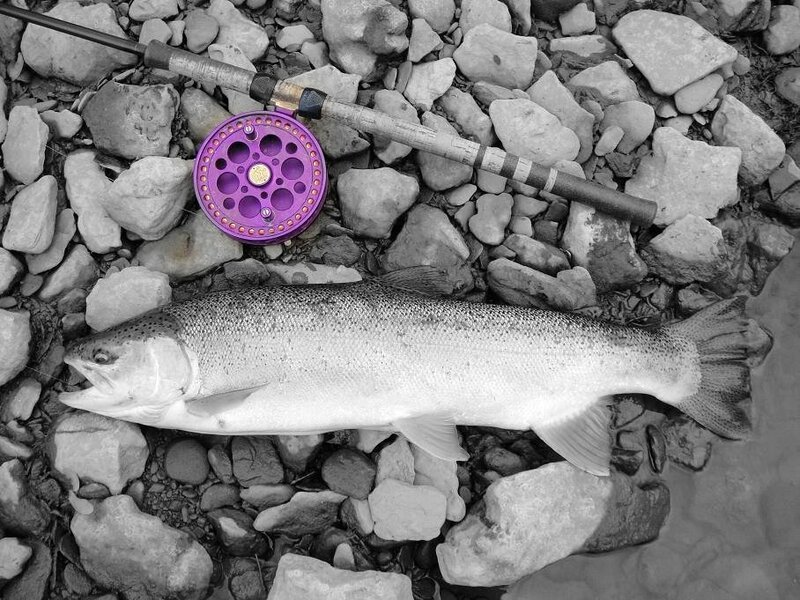 But whenever the river is at its lowest, the fish can be easy to find, especially for the steelheader that knows the river like the back of his hand. The river was very tame almost lazy in nature. She flowed so quietly as even the faster water only gurgled, barely noticeable. Only when she's low does she reveal her secrets. I could make out shale ledges and rocks scattered along the bottom. It's very rare to see the river like that. 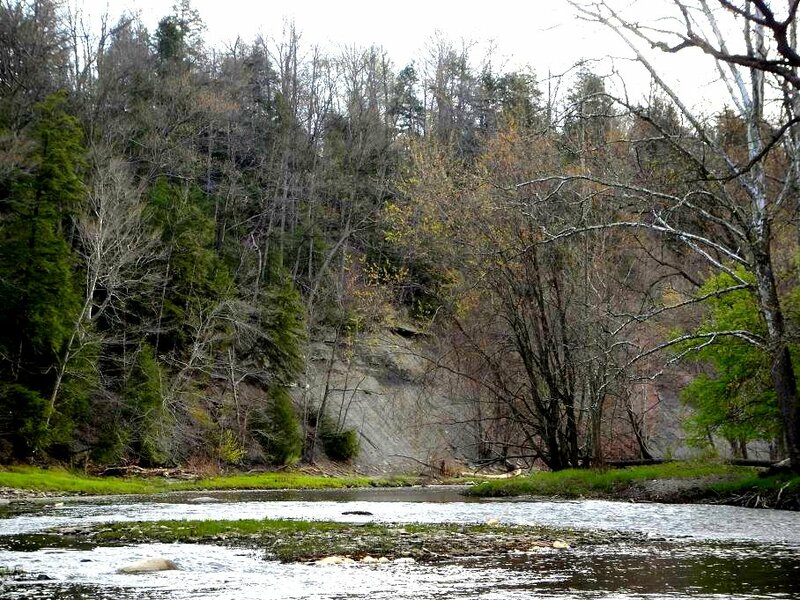 I scanned the river downstream looking for structure that would hold a couple of dropbacks. First thing was weeding out the chubs as they had a ravenous appetite for uncured steelhead eggs. I continued further down into areas that even I and others rarely venture into. The footprints of humans were gradually replaced by deer, raccoon and coyotes. I found more fish but I had reached the limited on how far I wanted to walk. But I wanted to walk more to see what lied ahead. If I was younger, I would pushed myself to go a little further. But I told the kid in myself to take it easy as my knees and back could only take so much. I turned and started to walking back and headed farther downstream. The old man knew what he was doing. The next spot, I walked along a feeder creek I could see right to the bottom of the deepest holes. I looked into the massive pile of downed trees that clogged the creek. A large snapping turtle was sitting on the bottom patiently waiting for a chub to swim nearby. I didn't see one steelhead. The clear water of the creek flowed into the murkier river as I crossed with relative ease. More distance to go as I thought to myself. The skies turned grey and the wind whipped over the cliffs and down towards the river. As it was upstream, I started the process of weeding out the chubs. Eventually, I started getting into some steelhead. Including one male that sported the wounds worthy of a gladiator. But deep water was few and far between. Dropbacks especially when the water is cooler often take their time heading back to the lake. Nobody knows how far they travel. One day they're there and the next they're gone. It was back on the road, covering more miles as I made into the urban stretches. I started to see more people and there wasn't a lot of happy faces. Many were frustrated with the lack of fish. The skies started to part and the sun came out. The river had a strong tea color that filtered out the sun and somewhere in that murk, I knew fish were lying in wait. 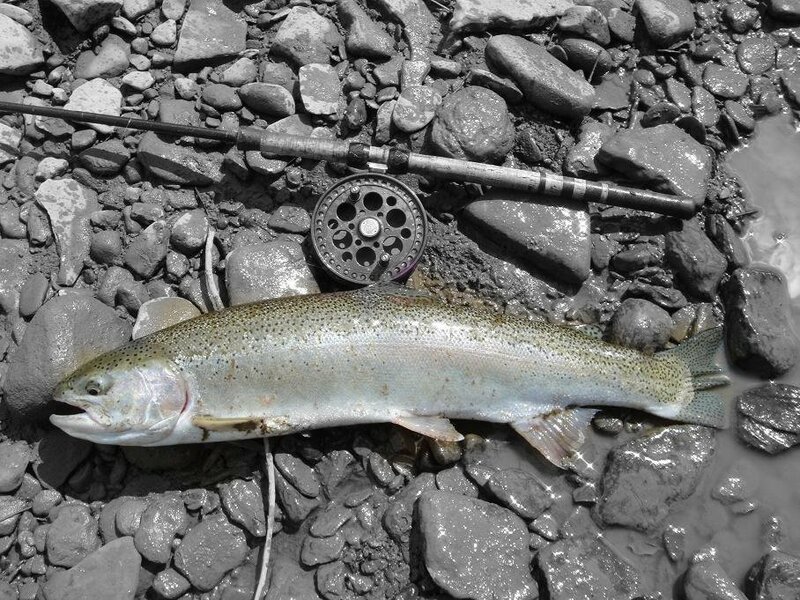 Unlike the smaller fish caught upstream, these fish were much larger and full of vigor. They were in playful mood as I had my hands full. I gingerly played these fish on light line and I watch several leap and thrash about catching the attention of anglers downstream. All of them had changed back to the beautiful silver. The only blemish on them was the red sores on the bottom caudal fins and bellies. I covered a lot of water and road today. It was late afternoon as I changed and my feet were thankful that they were no longer trapped in my boots. I stretch as I felt my back and knees loosen. It was a quiet drive home as I reflected on the day I had. Hard to believe that the first fish of the season was caught 8 months ago on a beautiful late September morning. I traveled a lot of miles and I have more to go. Nice. In the past, I have walked a concession or two and at the end of the day, just took the dirt road back as the river miles would have killed me! Nice Pics Greg! Strong work!